No matter how rich and famous you may be, nobody escapes the long arm of the law when it comes to DUI charges. Celebrities seem to get away with just about everything else, but judges love to bring the gavel down hard on actresses and singers who get behind the wheel when they can’t see straight. Here are six celebs who could definitely use a NYS defensive driving course. Did we forget your favorite? Let us know. Here’s what we love about this one: you almost wonder if this was some kind of publicity stunt to get another season of My Name Is Earl made. Pressly’s 2011 drunken joyride seems like exactly the kind of thing Joy Turner would get arrested for. 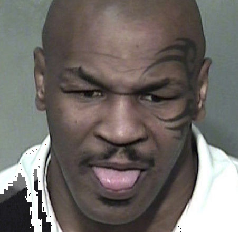 Legal troubles are nothing new for Mike Tyson, which may explain why he’s sticking his tongue out and making faces in this mugshot. This is just another day on the job for Iron Mike, so why not have some fun with it? Well, either that or this is just the face Mike makes when he’s drunk. Who knows what the heck is going on with this guy, right? 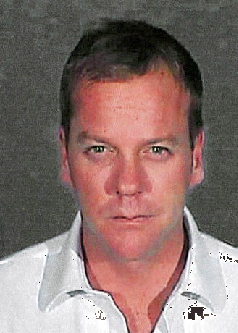 In 2007, Kiefer Sutherland got hit with his second DUI charge and sentenced to a 48 day penalty. A defensive driving course NY schools offer could have gotten a few days off your sentence there, Jack Bauer. Sutherland has never been quite so far off the wagon as, say, a Robert Downey Jr., but his troubles with booze have been well-documented. 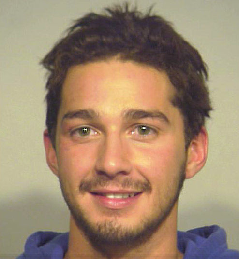 The weird thing about this one: This is back when Shia was only 22. This is way, way before he became a freestyle rapper, or stole an independent comic book to use as a basis for his short film, or held a movie marathon of all his own films. This is back when Shia acted crazy in normal celebrity ways like reckless driving, rather than finding new, weird ways to confuse everyone. 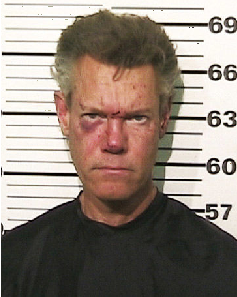 Randy Travis may not be associated with “outlaw” country music, but he’s got an impressive rap sheet. His 2012 DWI misdemeanor had felony retaliation thrown on top. That might explain the black eye and busted nose. He was found naked in a parked car outside of a church drinking a bottle of wine. According to the Texas State Troopers, Travis had crashed into a construction zone, threatened to kill the troopers, and walked into a convenience store totally naked demanding cigarettes. We can’t say we approve, but we can’t say we’re not impressed. Amanda Bynes makes the list for her 2012 DUI incident simply because she looks pretty calm for a girl who just sideswiped a cop car. Most of us would at least break a sweat, Bynes looks like they just messed up her order at McDonald’s but she doesn’t want to make a big deal out of it. If only we could all face the possibility serious prison time with nothing worse than mild disappointment. Here’s something to remember: While DUI may be the one crime that celebrities seem to have a hard time getting away with, the penalties for us regular folk do tend to be a little steeper. Without the money to hire a top-notch legal team, without the social influence of showbiz success or the charm of movie-star good looks, we have to make sure that we play every card we do have. Whether that means taking defensive driving courses, or sneaking a file into the jailhouse inside of a cake, whatever you can do to lighten that sentence up a bit, the better.